Great News: Here’s the First Review for “The Big Idea Gang” — and It’s Pretty Terrific! The first two books in my upcoming series, “The Big Idea Gang,” won’t be out until January. But the first review just landed. “A group of friends campaigns to change their school’s mascot. 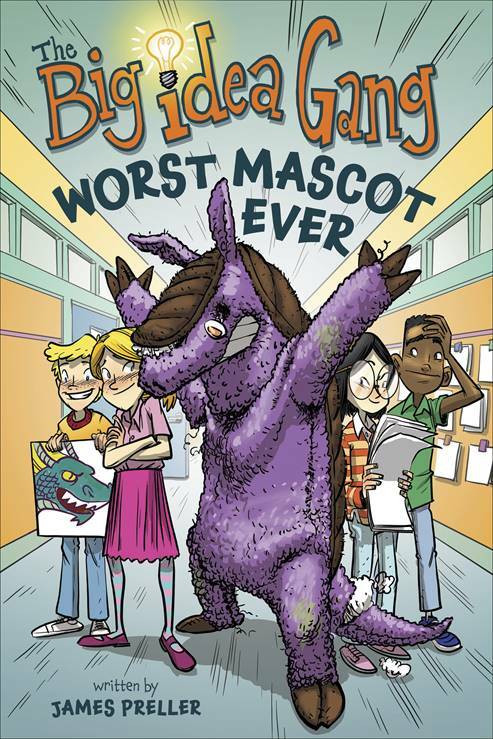 After a comedic mishap with the worn-out costume for Clay Elementary School’s longtime mascot—Arnold the Armadillo—friends Lizzy and Connor O’Malley (twins), Kym Park, and Deon Gibson see an opportunity to get the school a more compelling mascot: the bulldog. They propose it to their teacher (Isadora Zipsokowski, called Miss Zips), who insists they take their idea to the principal themselves. 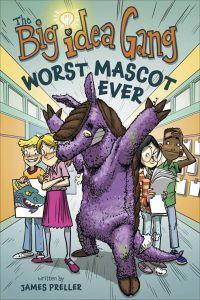 But not all of their classmates are in favor—domineering Suri Brewster opposes them, arguing against the bulldog and organizing a pro-armadillo contingent. The friends work on a new mascot idea—a dragon—and present their case to the principal, who puts their idea against the status quo, represented by Suri, to a schoolwide vote. The job of speaking for their side falls on Lizzy. In the face of her anxiety, her friends rally together to help her support her arguments. When the time comes, Suri speaks well, but Lizzy’s humor and sound logic carry the day. In a delightful twist, Suri is a story antagonist who isn’t antagonistic—she and Lizzy are mutually supportive as they face public speaking. A final segment provides tips on how to structure persuasive arguments. Publishing simultaneously is a sequel, Everybody Needs a Buddy. Lizzy, Connor, and Suri present white, while Kym is Asian and Deon is black. An upbeat and empowering series opener. (Fiction. 6-9)” — Kirkus.